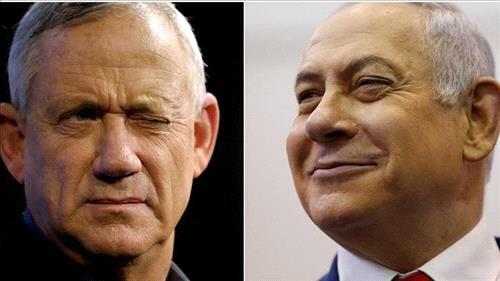 AMMONNEWS - Prime Minister Benjamin Netanyahu and his main challenger Benny Gantz both claimed victory after Israel’s general elections on Tuesday as exit polls showed the two were neck and neck. The exit polls from Israel’s three main television stations appeared to show Netanyahu better placed to form a coalition with the help of smaller right-wing parties, but the final outcome was far from clear. Final official results were not expected until early on Wednesday.